Atlanta GA—The mother of an urban planner who suffered catastrophic, ultimately fatal, brain damage less than an hour after walking into an emergency room with breathing problems settled a claim against two of the ER doctors who treated her, ending trial in the case days after it began. Baker v. Dinerman, et al., 12EV015555. Parties Friday morning told Fulton County State Court Judge Diane Bessen they reached a settlement, two days after openings at trial of Charlotte Baker’s suit against Dr. Michael Dinerman and Dr. Michael Violette for the death of Harrison’s daughter, Elmyra Jemison. The settlement's terms are confidential. Jemison, 30, suffered severe brain damage after arriving at Gwinnett Medical Center’s emergency room in September 2010 complaining of difficulty breathing. She was taken off of life support days later. Baker claimed Dinerman and Violette were grossly negligent when performing an airway intubation procedure. The defense contended the doctors followed appropriate protocol in successfully completing the intubation and were not responsible for Jemison's fatal brain damage. During Wednesday's openings, Hoffler told jurors she would seek up to $2.5 million in economic damages, plus unspecified non-economic damages in the case. After the settlement, Baker’s attorney, Edmond Lindsay & Hoffler's Tricia Hoffler, described the case as “hard-fought litigation” with the potential for significant damages if she won a jury verdict. “If we proved our case and the jury believed us, we thought we would get a significant verdict because of the magnitude of the loss,” Hoffler told CVN. CVN recorded the trial and will publish video as soon as possible. Read about openings in the case. Charlotte Baker is represented by Edmond Lindsay & Hoffler's Tricia Hoffler. Dr. Michael Dinerman and Dr. Michael Violette are represented by Huff Powell Bailey’s L. Evan Cline and Jeffrey Braintwain. CVN will offer the trial proceedings, on demand, as soon as possible. 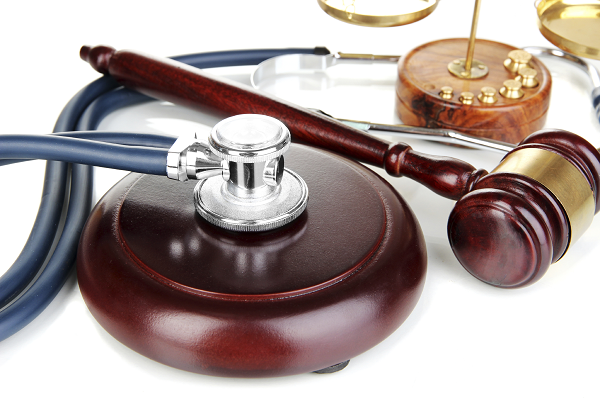 Learn how you can see the biggest medical malpractice trials, argued by the best attorneys, in Georgia and across the country. Topics: Negligence, Medical Malpractice, Georgia, Harrison Baker v. Dinerman, et al.